Tankard Dental was founded in Mildura over three decades ago. Since that time, we’ve grown to more practice locations and serve the Ouyen area with excellent dental care. Our experienced, qualified team is here for all ages. As one of the largest dental clinics in Victoria, we have a dentist who visits Ouyen to meet the needs of our patients. With government funding, we also welcome pension and healthcare card holders. At Tankard Dental , we see patients that range from an 18-month-old toddler to those who are into their 90s. There is a variety of services available for everything from routine checkups to dental implants. You can even have hospital access to have procedures done under general anaesthesia. If you’d like to explore sedation options, we offer it intravenously or in the form of nitrous oxide. 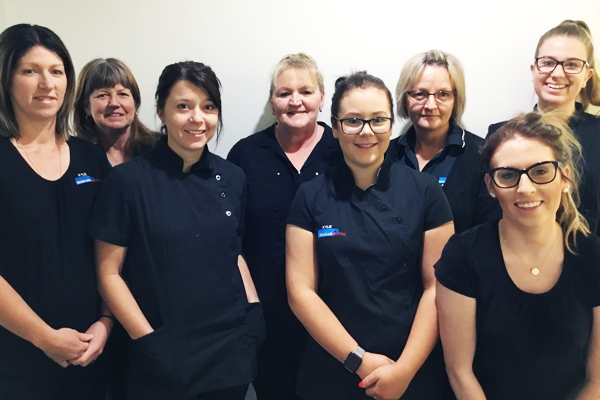 We’re passionate about delivering outstanding dental care to the Ouyen community. With a strong belief in giving back, you may have seen us as sponsors of area netball, hockey, football and tennis teams. We’re also involved with fundraising for the Lucas Foundation and the Cancer Society. Our state-of-the-art dental practice offers an on-site laboratory where your needs can be promptly addressed, often on the same day. Bridges, crowns, dentures and mouthguards will all be created for you by our experienced technicians. X-ray facilities are also located on-site for your convenience so that you won’t need to be sent elsewhere for imaging. Children’s dentistry is a main area of focus. We believe that children can start learning healthy habits early in life to prevent more serious problems from occurring in the future. They won’t develop any dental anxieties or require invasive treatments as adults. Children who are eligible for the Child Dental Benefits Schedule have no out-of-pocket costs associated with treatment. Our team also visits areas schools and does kinder talks. With their own play area, a PlayStation®, Xbox and televisions, we keep a fun, enjoyable atmosphere for all. Contact us today to learn more or book your time with our friendly team! We have same-day appointments available and are in-network providers for many health funds.